As much as you love your animals, it can be tough to watch them scratch your hardwood floors as they trot through your house, play, or release some extra energy. Fortunately, you can prevent hardwood flooring scratches, scrapes, and claw marks by making a few changes. 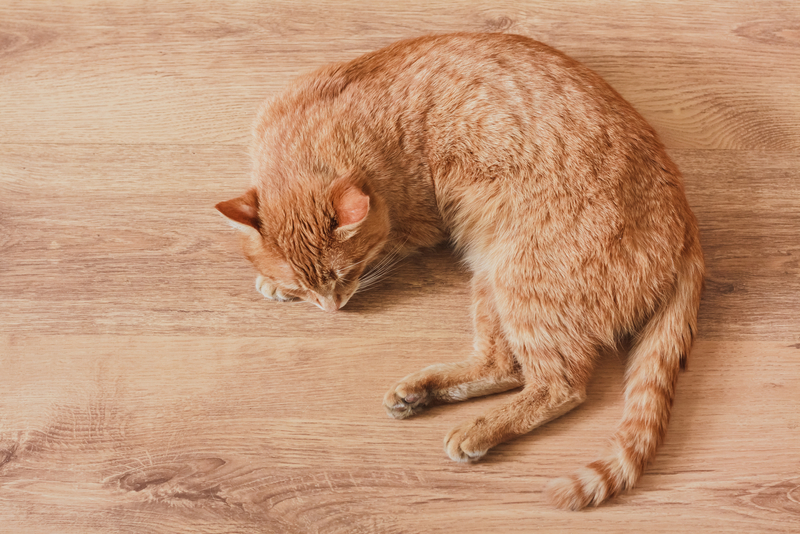 Here are three ways to prevent damage to your hardwood flooring caused by your pets. Both dogs and cats can grow sharp and strong nails, which can cause tiny divots or scratches on your hardwood floors. However, by focusing on nail and claw care, you can protect your flooring. Dogs should have their nails professionally trimmed every 1-2 months, and cats require the service more frequently, every 10-14 days. Pet stains, such as urine, can also cause problems with your hardwood flooring, leading to permanent staining, warping, and even cracking. To protect your hardwood flooring, commit to house training and teach your animals to use the restroom outside. Although you don’t pace your hallways when the door rings, your animals are inclined to do so. To prevent wear patterns, install carpet runners in high-traffic areas such as hallways and entryways. Additionally, place small area rugs under your pet’s bed or eating area to protect the underlying flooring. To keep pet areas dry, consider installing thin waterproof mats or spill pads underneath their living area. If your floors have endured damage from your pets, the team at General's Hardwood Flooring in Monroe County, NY, can help. From repair and ongoing maintenance to full flooring replacements, this team of experienced flooring professionals can restore your flooring to its beautiful state, no matter who lives in your home. To schedule a free estimate, call (585) 303-5704. To see a list of their services, visit their website.